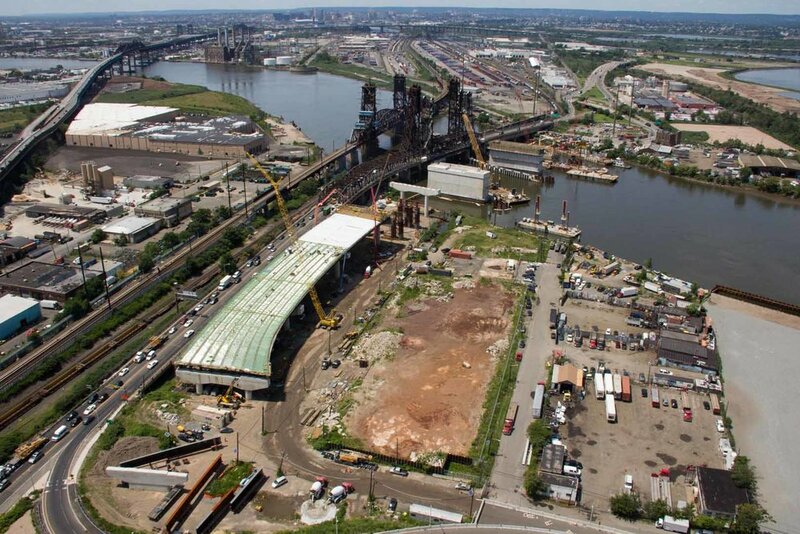 Projects List — Union Paving & Construction Co., Inc.
Union Paving has completed Contract 2 and is currently working on Contract 3A for this project, building a new bridge alongside the existing one, ensuring the future of this corridor between major New Jersey highways to New York City. Concrete piers, superstructure and sign structure supports were installed in contract 2 and utilities were relocated in the process. In Contract 3A, Union Paving is installing a pump station and basin, reconstructing a section of Fish House Road and performing pipe jacking. 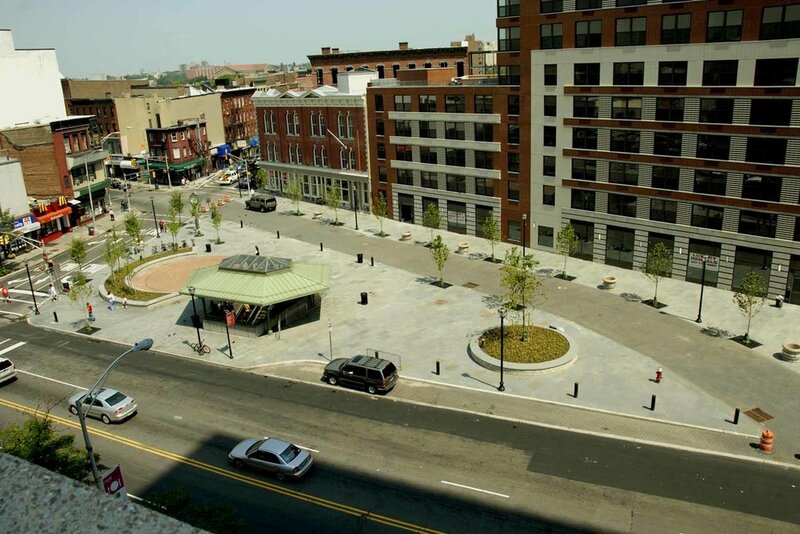 Union Paving built this urban pedestrian plaza surrounding the PATH station on Grove Street in Jersey City, servicing a large residential complex. The hardscape installed consists primarily of blue stone paving, granite curb and imprinted asphalt. 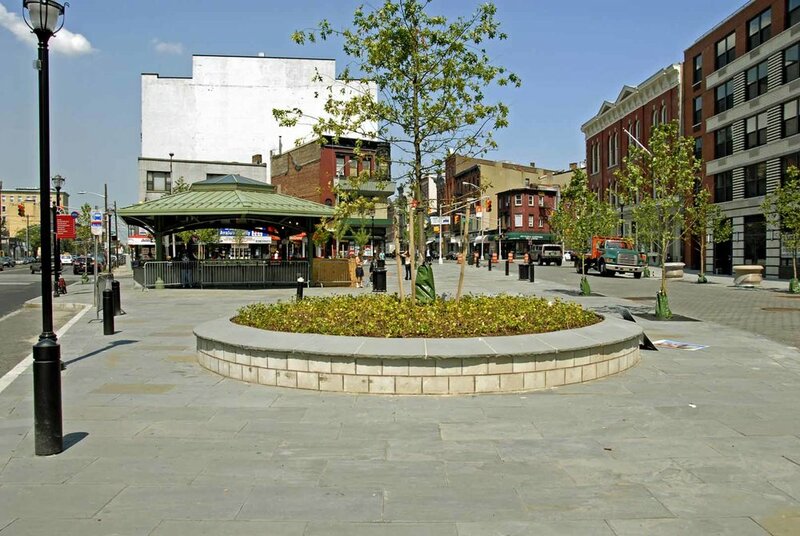 The plaza features trees, ornamental plants, performance space and seating. Union Paving was contracted by the NJ DOT to construct bridge over local roads and Rahway River. 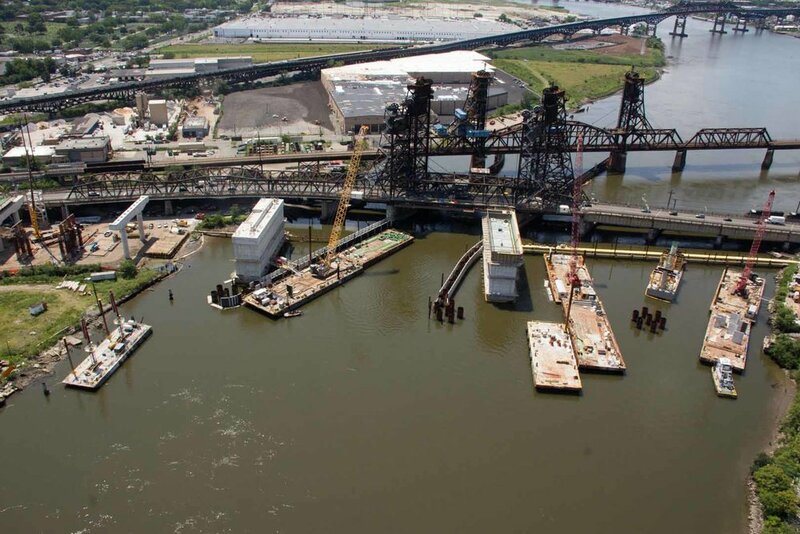 Primary work involved included cofferdams, bridge construction, roadway excavation, embankment construction, building demolition, retaining wall construction, construct new sewer, water and electrical utilities, steel pilings, regulated waste excavation and disposal, and road construction. A new bridge over 1,000 feet long and pertinent roadways were constructed to realign Rte. 1&9 over local roads and the Rahway River. Included in the work is the construction of nine piers, two of which are located in the Rahway River. 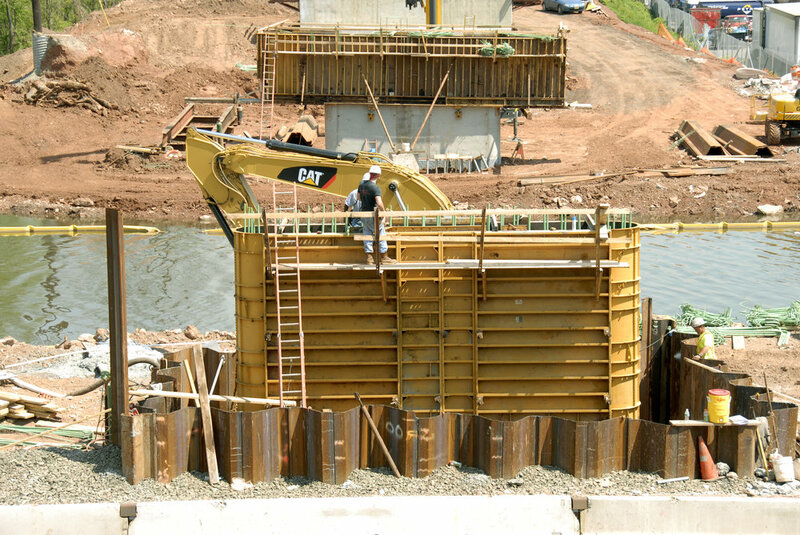 All of the piers were required to be constructed within cofferdams. Union Paving was contracted by NJDOT to construct new bridges, roadways, new roadway realignment and rehabilitation of existing bridges to complete a fully operational interchange between these two major highways. Primary work involved: roadway excavation; embankment construction; road construction; new bridges over Route 78, Garden State Parkway, local roads, waterways and railroads; retaining walls; noise barriers; demolition; sewer, water and electrical utilities; excavation, handling and disposal of contaminated soil and hazardous waste; new Toll Plaza Administration Building; highway lighting; landscaping; sheeting, cofferdams and pile driving. Coordination required with NJDOT, Conrail and Garden State Parkway due to the magnitude of work within their respective right-of-ways. All work performed alongside and over heavy vehicular traffic.